A naturally themed design the Chamber collection is a force of nature with rustic sensibilities and a touch of whimsy. 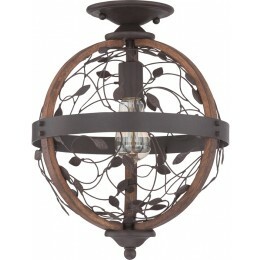 The leafy scrolling vines are encompassed within curved wood beams belted with a metal band in a Darkest Bronze finish. The rich walnut stain on the wood is matte and highlights the aesthetics of the wood. 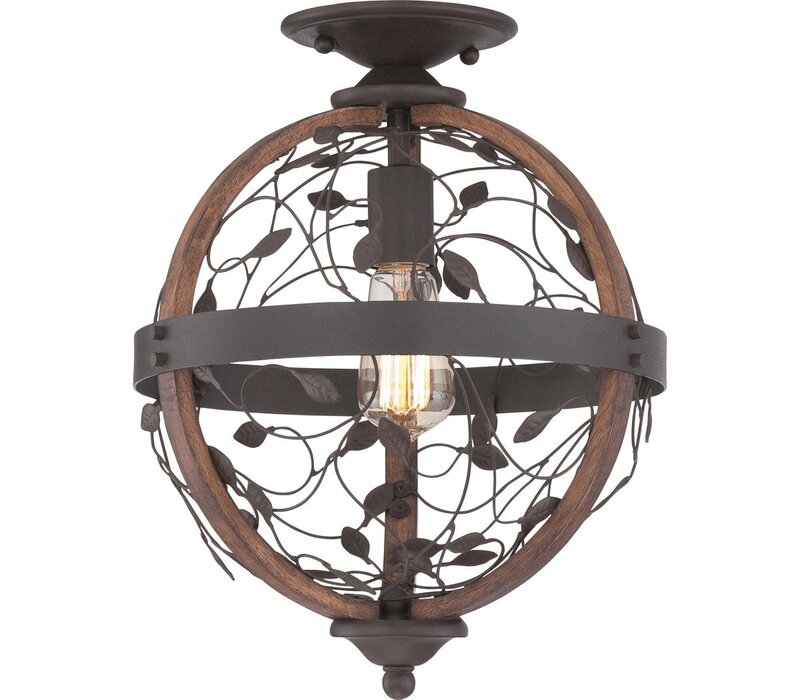 The Quoizel CHB1612DK Chamber collection Close to Ceiling Lighting in Darkest Bronze uses Fluorescent light output and brings Transitional style. 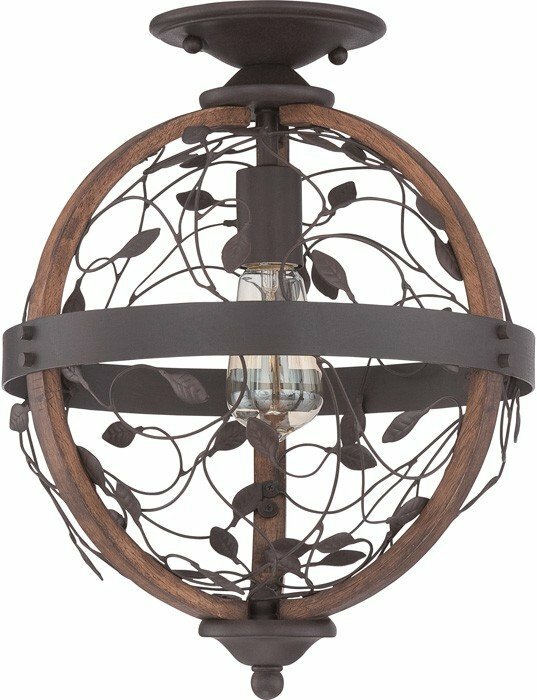 This item is 16"H x 12"W x 12"L. The wattage is 100. The Quoizel Lighting CHB1612DK requires 1 bulb (included).